debbie our tour guide was amazing. the drive was good and the timing of thr tours is beautiful. i was very happy with the tour. 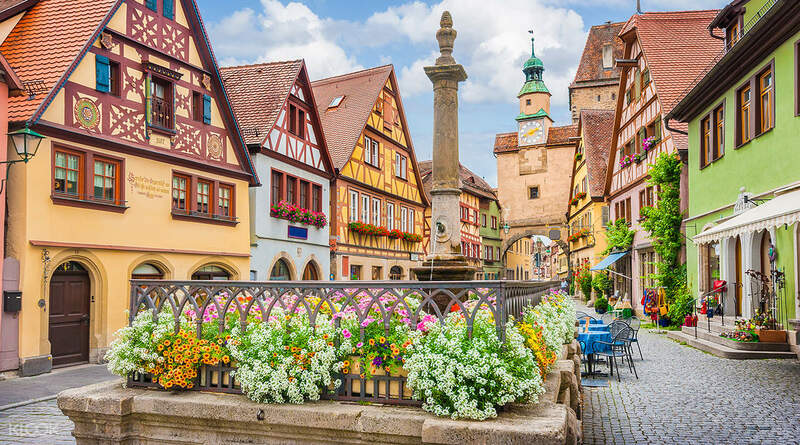 Germany's Romantic Road is one of the most popular tourist destinations in the country. Because of its picturesque surroundings, the 350km long road is flocked by people all over the world, and serves as the perfect backdrop to enjoy the German countryside. 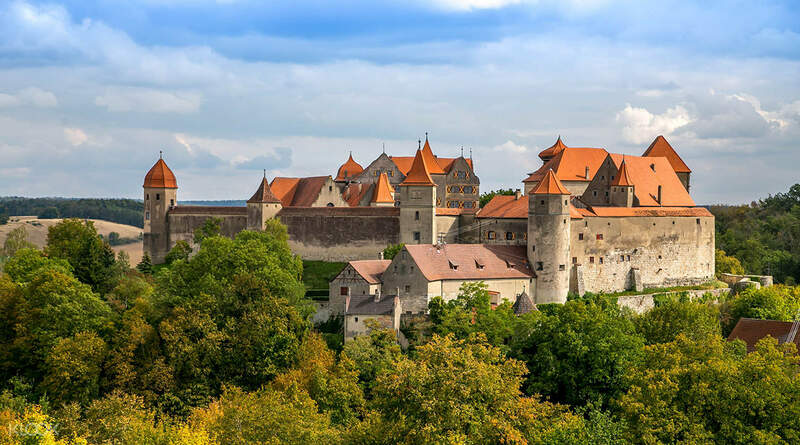 The first stop on the tour is the Harburg castle, one of the oldest and best kept castles in Southern Germany. Completed in the 11th century, the castle is teeming with history - all of which you'll get to uncover in the guided tour. 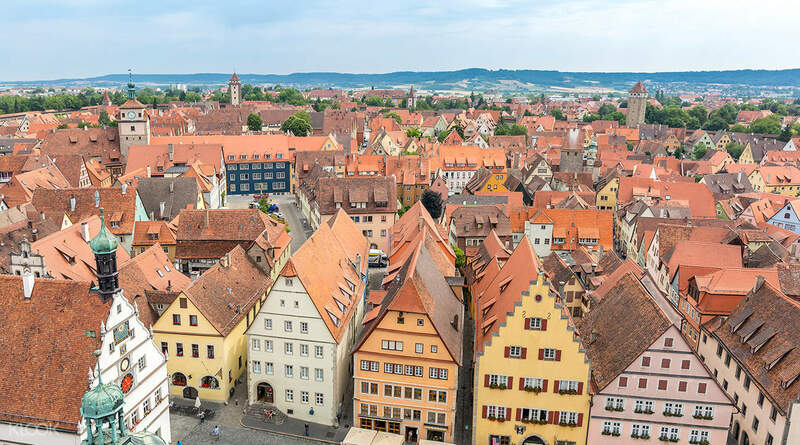 Next, you'll be taken to Rothenburg ob der Tauber, Europe's perfectly preserved medieval town. Walking through the village will make you feel like you've traveled back in time. There, you'll have time to wander around on your own, have lunch, or go shopping. 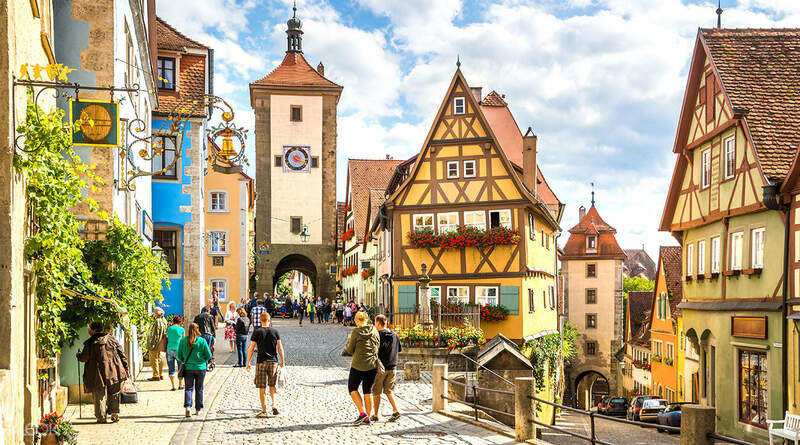 After exploring Rothenburg, you'll return to Munich via Hallertau, the largest hop-growing region in the world - the end of a day well spent in one of the most romantic and picturesque roads in the world. Words cannot express how much I like this tour. I have never heard of Harburg before, but during the touring, I fell in love with this place. I have been to various castles in Scotland and Neuschwanstein castle before. The Harburg here is not that big, but very nice view inside and outside. You might not find so by looking at the appearance outside. But you will hv the same feeling as me whe. you are brought to the bridge of Harburg during the touring. The tpur guide of Harbirg is very professional. She has veey good English and has given us vwry good touring in Harburg. Rothenburg, as the crux or this tour, is just AMAZING. Definitely a must-go in everyone's life time. The Christmas Museum is just fantastic. How can Christmas tree decorations be so beautiful??!! Back to the tour agencies Klook hv cooperation with, I would suggest you to join Chinese one. I went to the Eng one in Neuschwanstein castle tour, and the Manderine one in Rothenburg one. Basically, this agency offers you a headsets with prepared audios. Once you reached a specific spot, a specific audio will be played. I will say the quality of the tour is somehow guaranteed with the Manderine tour. For the Eng tour I had in Neuschwanstein castle tour, the English of my tour is terrible. (I admit i was just unlucky. Even the English of my Chinese tour in Rothenburg is better than my Neuschwanstein tour). Anyway, wonderful experience for the Harburg and Rothenburg tour. Enjoy the stay in Bavaria! Words cannot express how much I like this tour. I have never heard of Harburg before, but during the touring, I fell in love with this place. I have been to various castles in Scotland and Neuschwanstein castle before. The Harburg here is not that big, but very nice view inside and outside. You might not find so by looking at the appearance outside. But you will hv the same feeling as me whe. you are brought to the bridge of Harburg during the touring. The tpur guide of Harbirg is very professional. She has veey good English and has given us vwry good touring in Harburg. Rothenburg, as the crux or this tour, is just AMAZING. Definitely a must-go in everyone's life time. The Christmas Museum is just fantastic. How can Christmas tree decorations be so beautiful??!! Back to the tour agencies Klook hv cooperation with, I would suggest you to join Chinese one. I went to the Eng one in Neuschwanstein castle tour, and the Manderine one in Rothenburg one. Basically, this agency offers you a headsets with prepared audios. Once you reached a specific spot, a specific audio will be played. I will say the quality of the tour is somehow guaranteed with the Manderine tour. For the Eng tour I had in Neuschwanstein castle tour, the English of my tour is terrible. (I admit i was just unlucky. Even the English of my Chinese tour in Rothenburg is better than my Neuschwanstein tour). Anyway, wonderful experience for the Harburg and Rothenburg tour. Enjoy the stay in Bavaria! The experience was great, I had a great time in Harburg and Rothenburg. The tour guide introduced a lot of new information for me. The experience was great, I had a great time in Harburg and Rothenburg. The tour guide introduced a lot of new information for me. Good tour guide, clear information and explanation, beautiful town, we visited Christmas museum and criminal museum, and have lunch in traditional restaurant. Good tour guide, clear information and explanation, beautiful town, we visited Christmas museum and criminal museum, and have lunch in traditional restaurant. Good tour guide. Comfortable bus ride. Sufficient time to walk around. Please be there early to choose your bus seats. Good tour guide. Comfortable bus ride. Sufficient time to walk around. Please be there early to choose your bus seats. The tour is on time and have enough time for both spot. Had a great view of the town from Harburg castle. Great shopping for xMas deco in Rothenburg, superb. The tour is on time and have enough time for both spot. Had a great view of the town from Harburg castle. Great shopping for xMas deco in Rothenburg, superb. Very convenient, the pick up point is right in the city center. However, it is recommended to go there earlier as there are full of English speaking tourists. If an English bus is full, you may be asked to join other language bus. Very convenient, the pick up point is right in the city center. However, it is recommended to go there earlier as there are full of English speaking tourists. If an English bus is full, you may be asked to join other language bus. debbie our tour guide was amazing. the drive was good and the timing of thr tours is beautiful. i was very happy with the tour. debbie our tour guide was amazing. the drive was good and the timing of thr tours is beautiful. i was very happy with the tour. Visited an medieval Hamburg castle and then the Rothenburg town. Tour of town was free and easy so need to find your way around. Visited an medieval Hamburg castle and then the Rothenburg town. Tour of town was free and easy so need to find your way around. Rotthenburg was amazing! Went to the biggest Christmas store I’ve ever seen as well as went around the town for sightseeing :) must try! Rotthenburg was amazing! Went to the biggest Christmas store I’ve ever seen as well as went around the town for sightseeing :) must try! Very good service for touring. This city is worth to visit and the view is very nice. Very good service for touring. This city is worth to visit and the view is very nice.